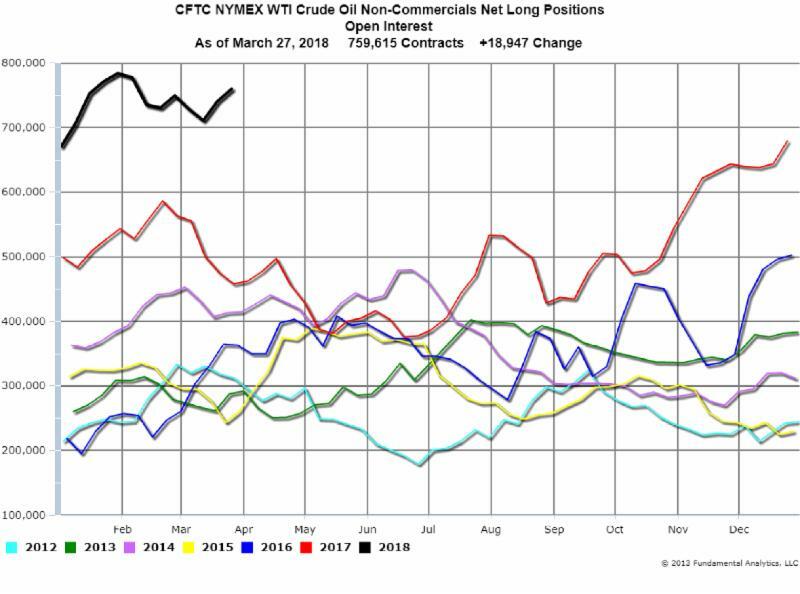 The latest CFTC Commitment of Traders Report as of Tuesday, March 27, 2018 shows the Non-Commercials Net Long Positions increased during the last week by 18,947 contracts to 759,615 contracts. 25,572 long positions were established and 6,625 Short positions were established. Despite range bound Crude Oil prices the Funds have shown they remain bullish on price.